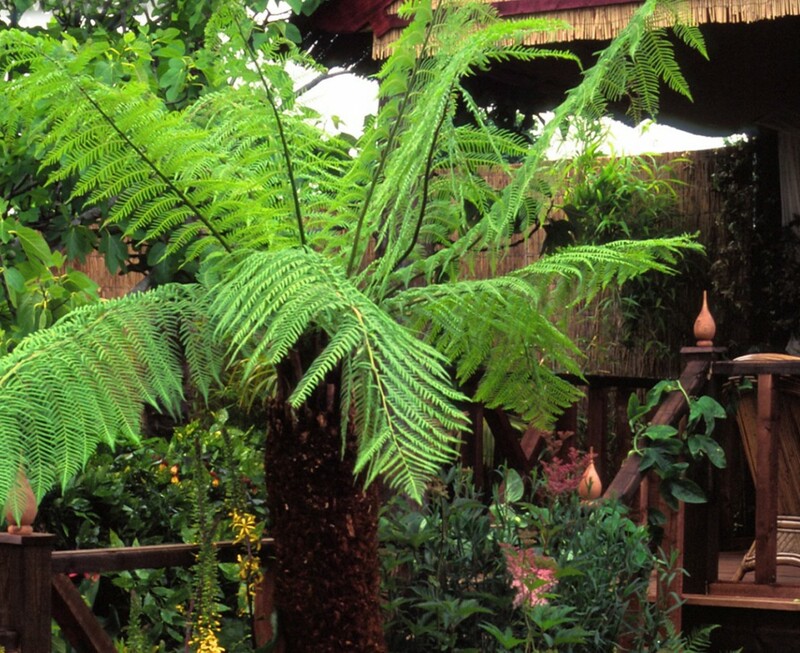 A trail blazer for raising climate change awareness in gardens, this was the first show garden in the UK to use the Australian tree ferns which are now a familiar feature of our planting palette. 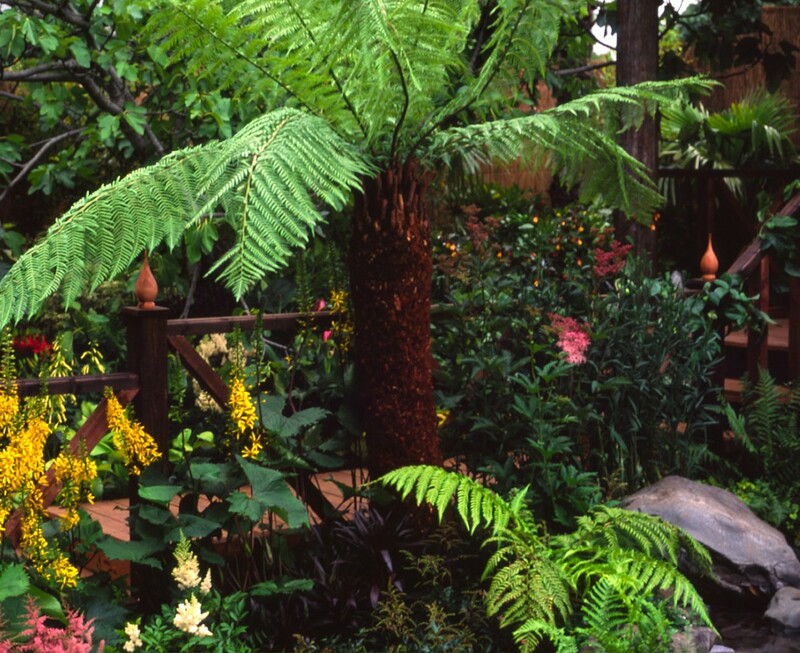 The idea behind the garden was to demonstrate the possibility of using familiar English garden plants to create a tropical atmosphere: Hostas, Astilbe, Ligularia and ferns were combined with Chinese Fan palms, root hardy Japanese bananas, Asian bamboos and those incredible tree ferns. 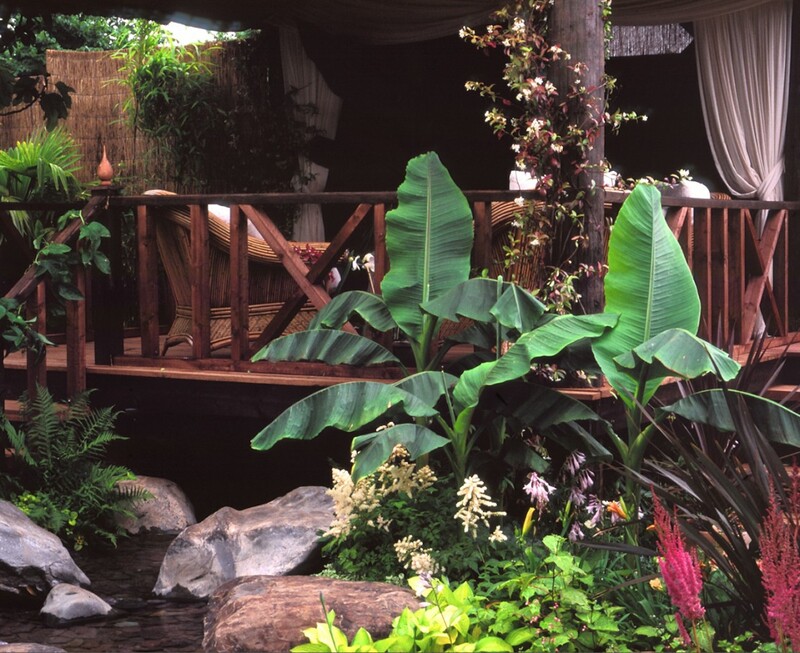 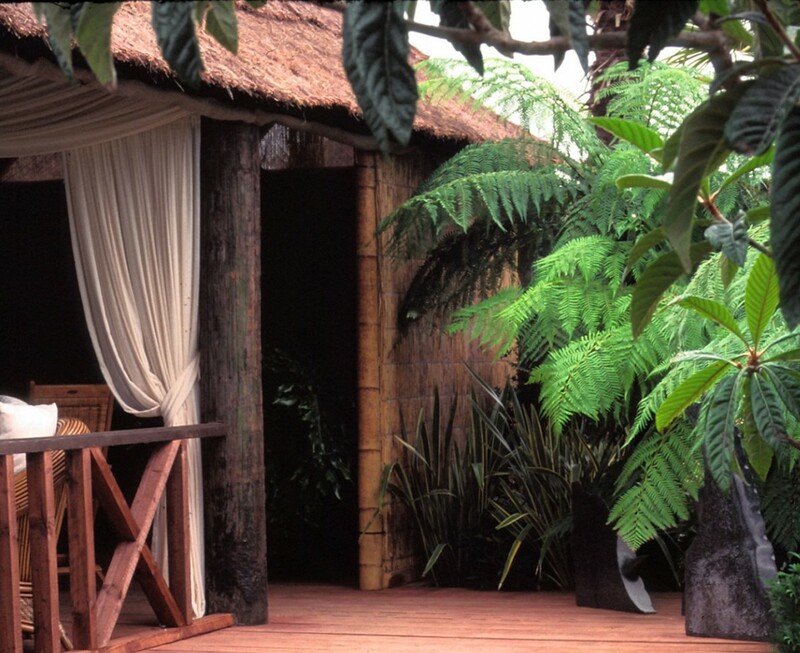 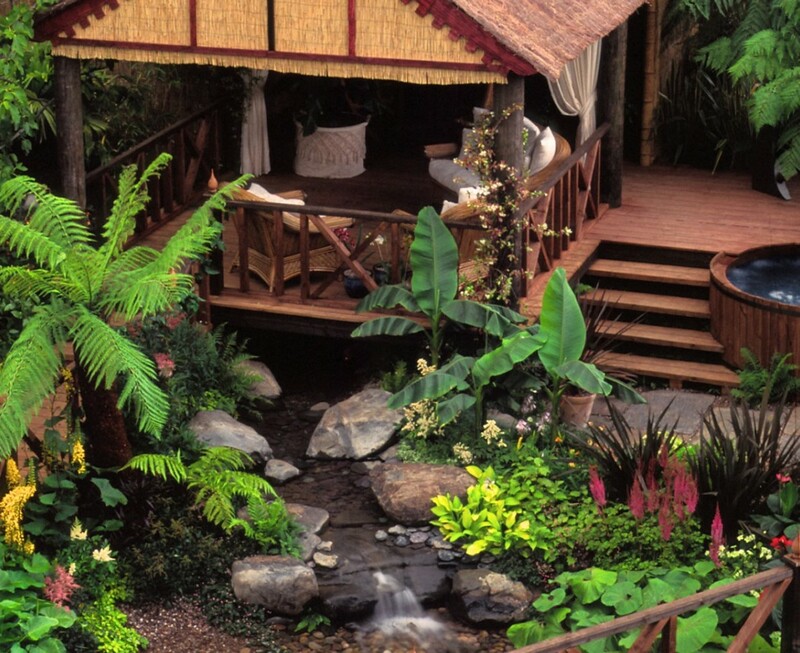 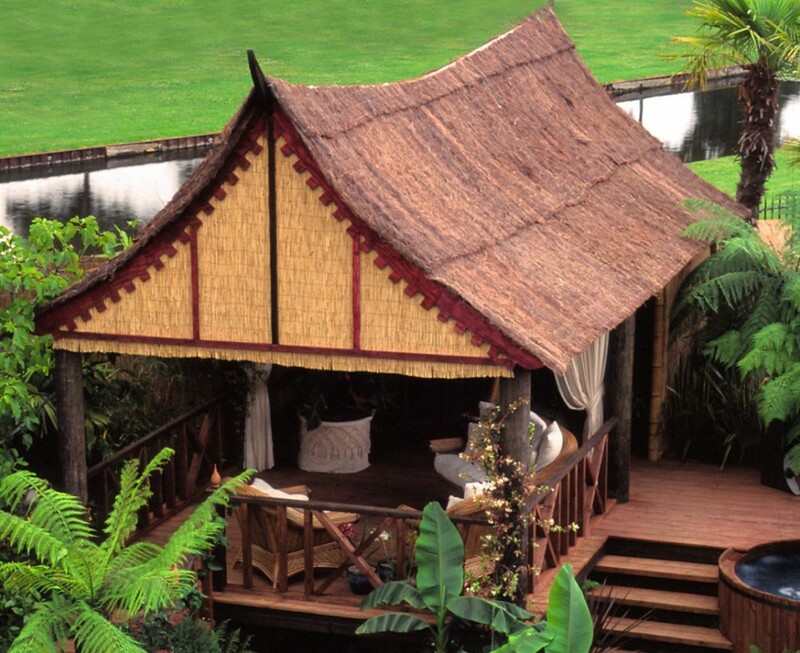 Inspired by my own travels in South East Asia I turned architect for the first time in a show garden and designed a stilt house along the lines of those I had seen in Sumatra and Sulawesi. 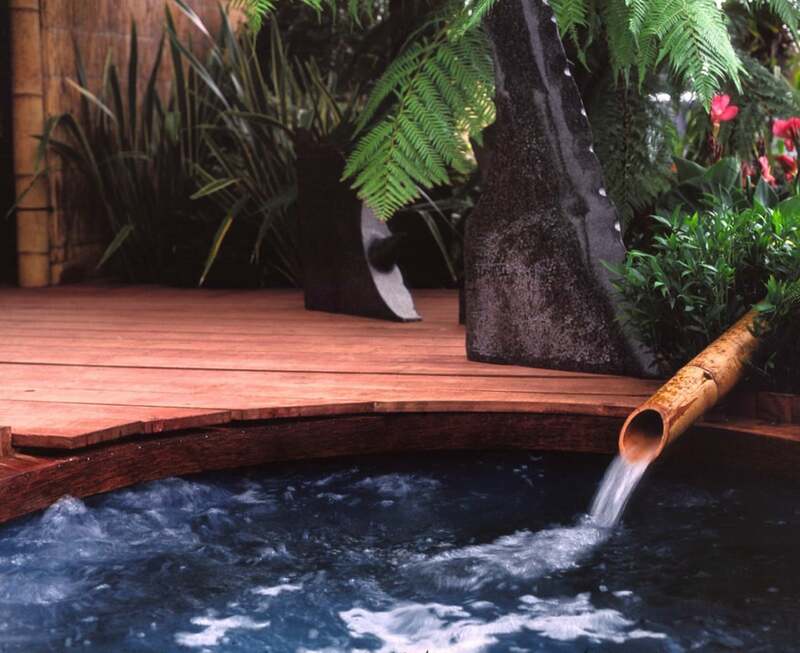 This was also the first time I met Monty Don who was not in a great mood having been forced to roll up his trousers and sit with his feet dangling in the freezing cold water of my unheated hot tub.